Even so, Reuters Breakingviews attempts it each year. 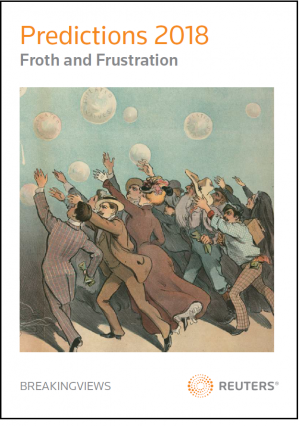 The latest effort, “Froth and Frustration,” inspired a series of events and discussions. We also polled audiences from North America to Asia and beyond on key issues. Here’s the outlook for 2018 in text, video and graphics.